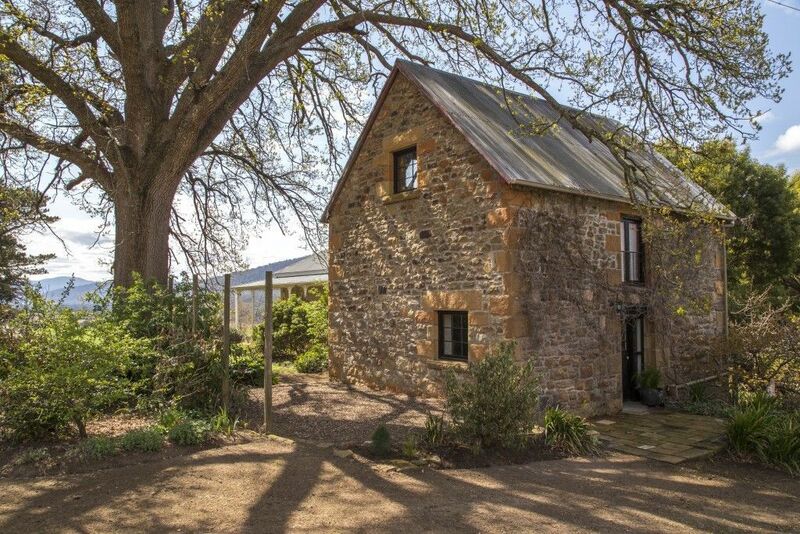 A local hidden treasure, Brockley Estate is a small boutique hotel on the banks of the Prosser River at Buckland, nestled on one of the old farming properties just out of town. 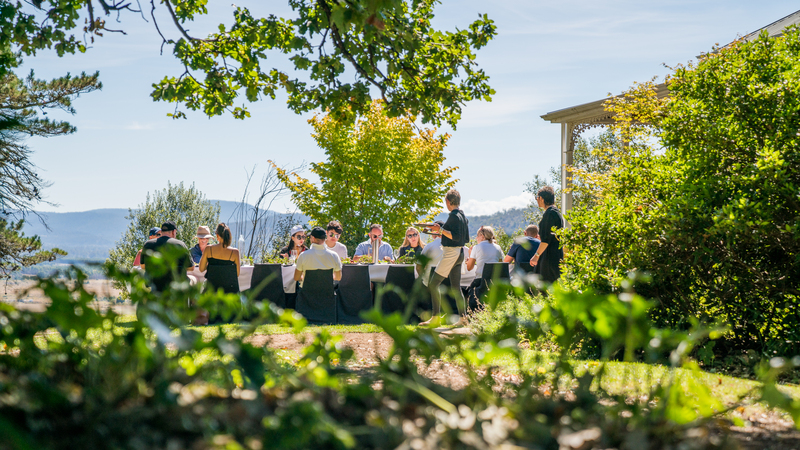 The Spanish chef who owns and runs the business with her husband uses local Tasmanian produce to create her magic. Brockley Estate is not officially open to the public for dining and they are extremely busy over the summer, however, it might be worth giving them a call to see if they can sneak you in around the table one evening – you never know your luck in a small town. 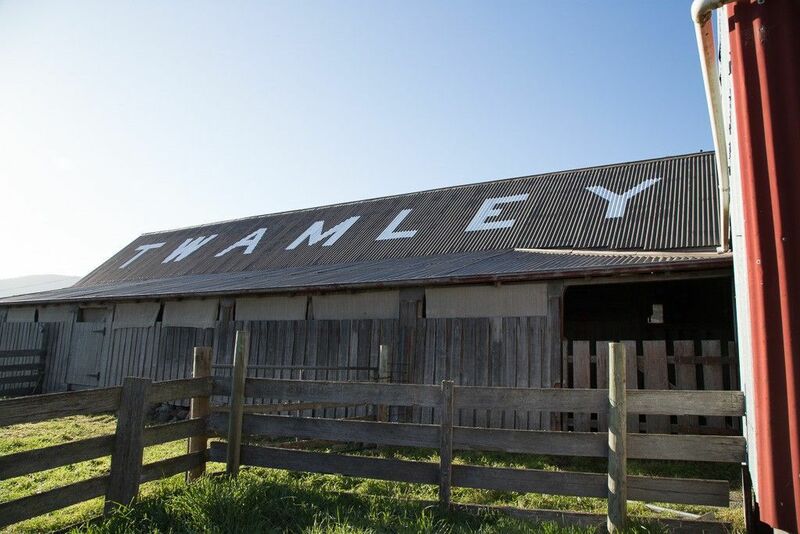 Call (03) 6251 3123 and mention that you are staying at Twamley Farm. Built around 1841 and licensed to James Rawlings, the Buckland Inn still operates as the local pub today and is an important social hub. 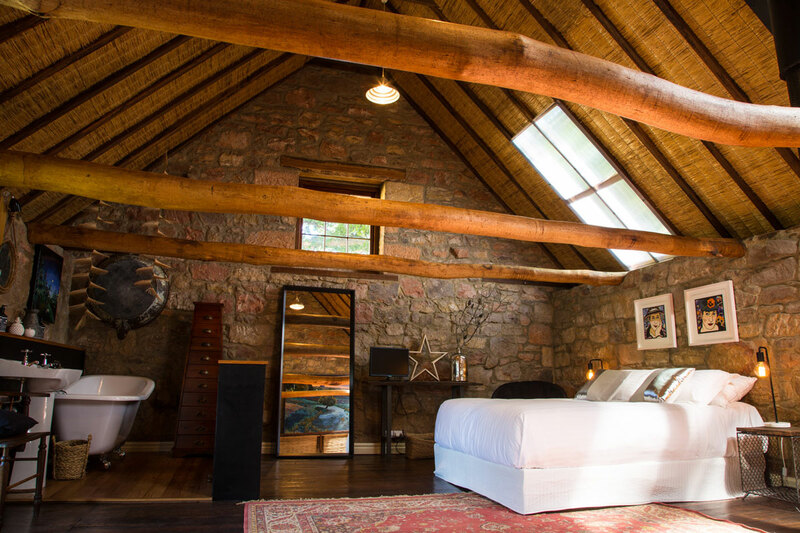 Built from local handcut sandstone, the inn has been faithfully serving travellers on the East Coast since this time. Step inside and you are stepping back in time to 1970s country Tasmania where you will encounter some of the local characters who are more than happy to share stories of Buckland and its past around a roaring wood fire. 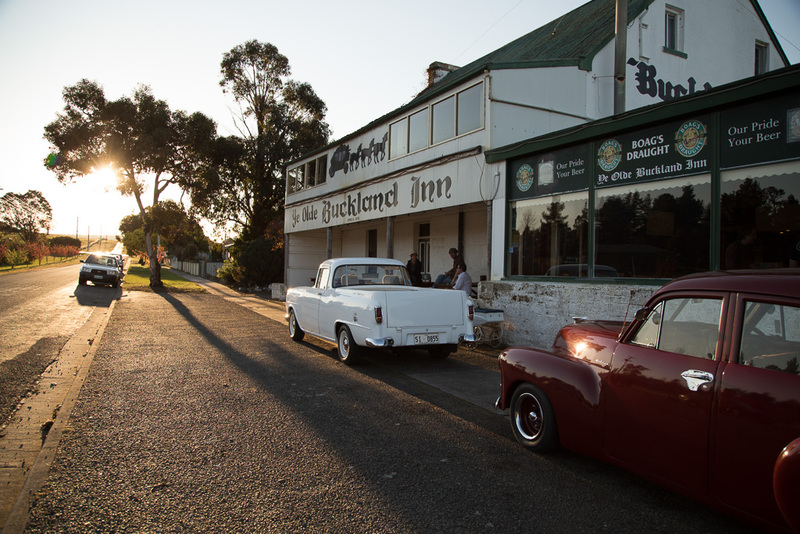 The pub serves old fashioned counter meals and local Tasmanian beers on tap. Food service in the summertime is 7 days a week but is best to always check to make sure they are serving meals that day during the winter. Call (03) 6257 5114. Great counter meals enjoyed overlooking the Prosser River in Orford, the dining area offers a very relaxed pub atmosphere. Open daily for dinner or try a delicious meal from the $10 lunch menu from Wednesday – Sunday. Blue Waters also has a large Thirsty Camel Bottle Shop. Bookings 03 6257 1102. Wood fired pizzas at Orford using local ingredients. Make sure you check their opening hours before heading out that way though. You can book a table by calling them on (03) 6257 1033. Right next door to Scorchers, The Gateway has outdoor seating so you can sit on the edge of Orford’s picturesque Prosser River and enjoy good coffee and an extensive menu of savoury and sweet treats. They’re open for breakfast and lunch daily from 7.30am-4pm, and even later in summer. You can call them on (03) 6257 1539. Orford has the first winery on the East Coast wine route, the Darlington Vineyard. Their cool climate Pinot Noir is particularly excellent and it is definitely worth a visit to pick up a few bottles at the cellar door. They are open daily 10am-5pm and you can contact them on (03) 6257 1630. The restaurant and bar at the Eastcoaster Resort has recently undergone a full renovation and is situated overlooking the picturesque Spring Bay. The Spring Bay Seafood & Wine Bar offers an extensive menu of delicious meals featuring local seafood. They are open daily for lunch and dinner. Please call (03) 6257 1172 for a reservation. Open for breakfast and lunch in the main street of Triabunna, the cafe does good coffee and delicious light meals. You can contact them on (03) 6257 3311. Serves the best fish and chips around, just as you would expect on the wharf of a fishing town like Triabunna. The owner Cara also sells fresh local East Coast fish and seafood, including oysters, scallops and crayfish in season. They’re open daily from 11am to 7pm, and you can contact them on 0407 552 847. A traditional old pub at the Triabunna Marina. This is one of the oldest buildings on he East Coast and was the original inn in the early 1800s. The hotel has a good local following and serves traditional “pub grub” in the family lounge most evenings. A visit here will take you back to the seventies. You can contact them on (03) 6257 3115. 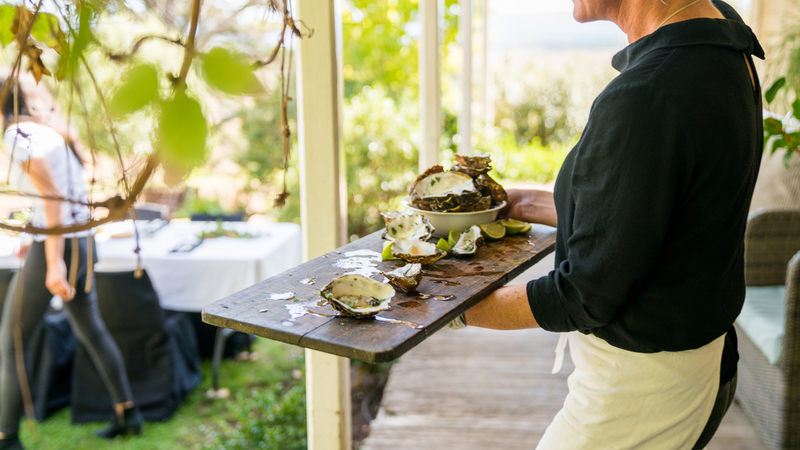 Their award winning Spring Bay Mussels are sent to restaurants all over Australia. The mussels are grown right here on the East Coast in the clean deep water of the Mercury Passage between the Coast and Maria Island. Their “farm gate” is at Triabunna on Freestone Point Rd and they are open weekdays during business hours to purchase fresh mussels to take away. You can contact them on 03 6257 3614.